What ever is in season someone is cooking in the kitchens of Pontelandolfo and hopefully that someone is asking me over to eat. Many of you have said you like it when I talk about cooking the local produce. So, why not make it easy for you to find recipes/ricette. I will keep an ongoing list here. Of course if you really want to be part of the culinary adventure join one of our Cooking in the Kitchens of Pontelandolfo cooking vacations. It may or may not be in alphabetical order. There may or may not be accurate amounts of ingredients but hey a pinch of this and a fist of that can create a magical culinary moment. Zucchini Stir Fry & Pasta – So easy, so colorful, so good! Fiori di Zucca – I love fried squash blossoms so much – you will too. 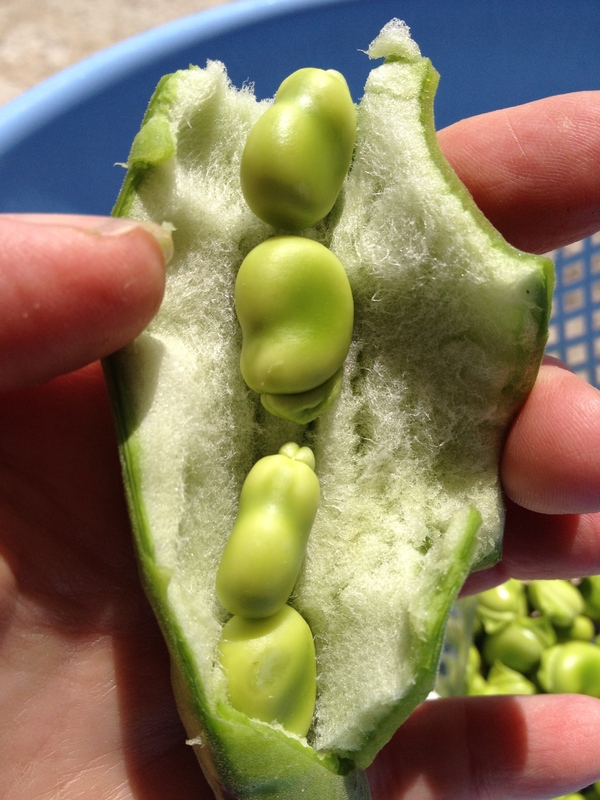 Easy Peasy Fava Beans – Clean them, cook them simply, grab a hunk of bread and enjoy. Creamy Yummy Zucchini – This could be a vegetarian entree. It feels like comfort food. Parrozz Con Cacchiarella – Vegetable and pork soup with unleavened corn bread. Pumpkin Gnocchi – Here is something to do with those fall pumpkins and the kids. Fresh Pasta – A subscriber shares her secrets for homemade pasta. Pumpkin Ravioli & Sauce –Scrumptious pumpkin filled ravioli and simple chopped pumpkin sauce. Pasta with Zucchini Flowers – Such a simple “sauce” – fresh and wonderful. Tagliatelle – flour, eggs and salt – what could make a better pasta. Prosciutto Crudo – Make your own prosciutto from scratch. Giambotta – That wonderful, whatever is leftover in the refrigerator stew. Grape Juice – Made from the eating grapes in our back yard! Melanzane Ripiene – An eggplant sliced and turned into a cheese sandwich. What a fantastic blog and site you have created!